We are delighted to announce that the Princess 75 Motor Yacht is to feature as part of the line-up at the Palma Boat Show, from 27th April until 1 May 2018. This elegant motor yacht from the Princess Y Class range was a Motorboat Award Winner in 2017, and is now offered as the flagship yacht for Princess Motor Yacht Sales’ exciting new yacht sharing programme YachtQuarters. The elegant exterior styling of the Princess 75 Motor Yacht belies a spacious interior which is perfect for relaxing and entertaining. Her ingenious design offers efficient, agile cruising. The modified deep V-hull lets you plane at lower speeds, and with a top speed of 35 knots, she is an exhilarating ride. The deck layout provides a variety of spaces for relaxation, and includes a walkthrough foredeck with U-shaped seating and sunbathing area. There is seating either side of the upper helm, so you can be sociable while underway.Natural light flows through the main deck through extended window lines and a unique full height window on the port side which makes the free standing dining area a spectacular place to entertain. 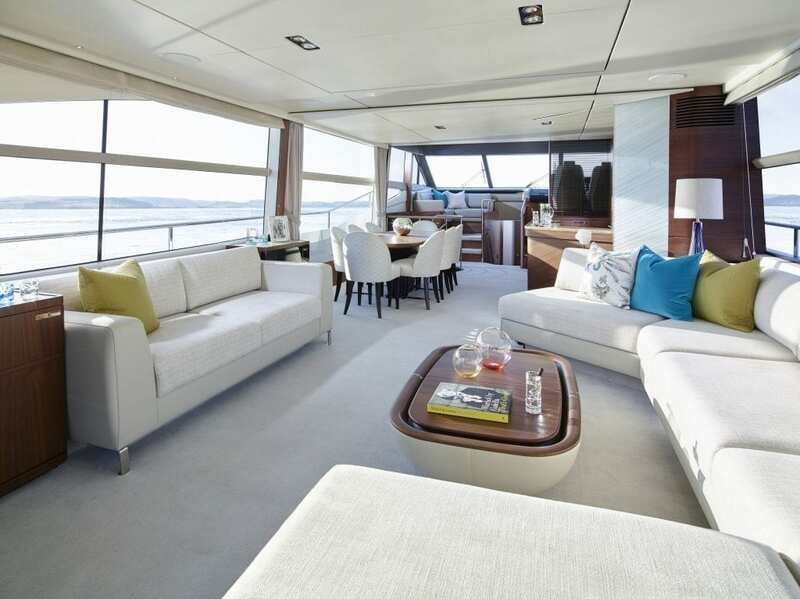 Sliding glass panels separate the galley from the open-plan living space. 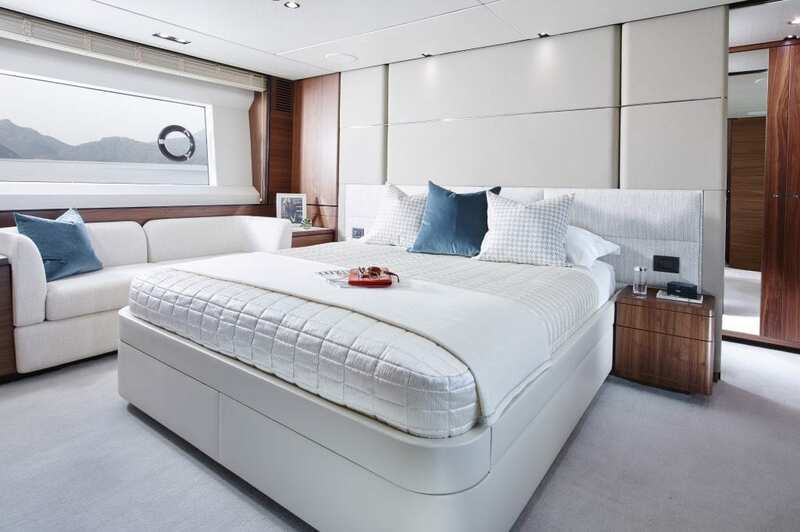 Furthermore, the stunning contemporary design of the saloon opens out to the well-equipped cockpit via flush sliding patio doors providing a spacious single entertaining area. Forward on the lower deck, all three guest cabins are en suite whilst a dedicated staircase leads to the owner’s stateroom via a private lobby area. 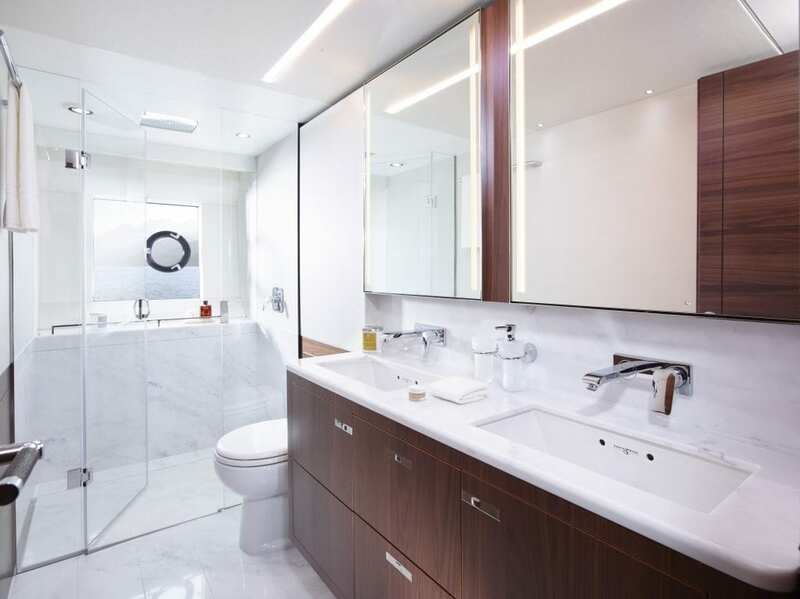 The beautifully appointed owner’s stateroom includes an en suite bathroom and 46” television with entertainment system. Crew enjoy natural light in the comfortable twin cabin aft and there is also an option for an additional berth in the crew lobby. The Princess 75 Motor Yacht is to be featured prominently as part of Princess Motor Yacht Sales’ YachtQuarters Programme which offers customers the opportunity to purchase the yacht as part of a quartet of owners, each having a part share in this fully crewed yacht. 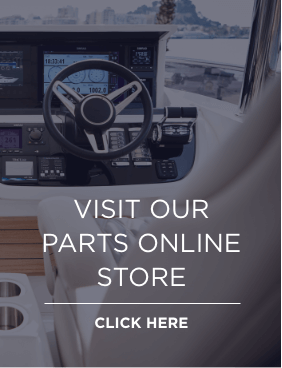 What’s unique about the programme, is that maintenance and running costs are all built in, leaving owners to enjoy only the aspects of yacht ownership that interest them, with all of the other aspects taken care of on their behalf. The concept has been developed over a number of years, and is led by Henning Price, who has extensive experience in managing yacht sharing programmes for many years. The Princess 75 is to be berthed in Philippe Starke designed Port Adriano, Mallorca, where there is wealth of expertise close by and easy access to some of the most stunning cruising destinations of the Balearics at your fingertips. 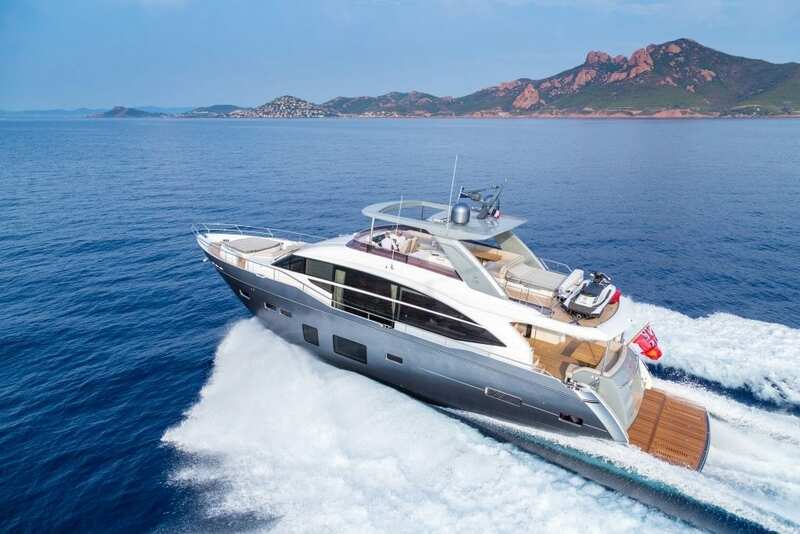 The Princess 75 will be available to view throughout the Palma Boat Show, where we will be delighted to discuss both outright and shared ownership possibilities in more detail. Click here to see the full yacht line-up, and to find out more about the show.